I suspect that when you read that you thought of stiff, shiny woven rugs didn't you? 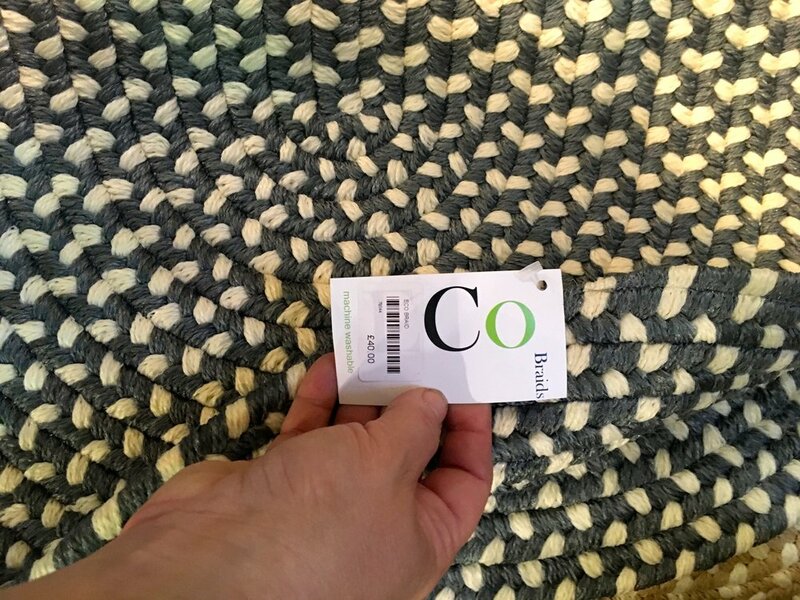 I know that my mind had some trouble computing when I read the sign and saw the attractive looking - and soft to the touch - rugs in the box from Eco Braids, which I spotted on that trip to the House & Garden store at Snape Maltings. But they are the recycled rugs in question and I tested them they're not stiff or shiny at all. In fact I don't think you'd know about their green credentials unless you knew, if you know what I mean. They can be used inside or out and are machine washable - just as the sign says. The colourways have some cracking names too: paprika, putty, sapphire, wasabi and pewter. I'm very tempted for when I replace the mat we have by our back door.